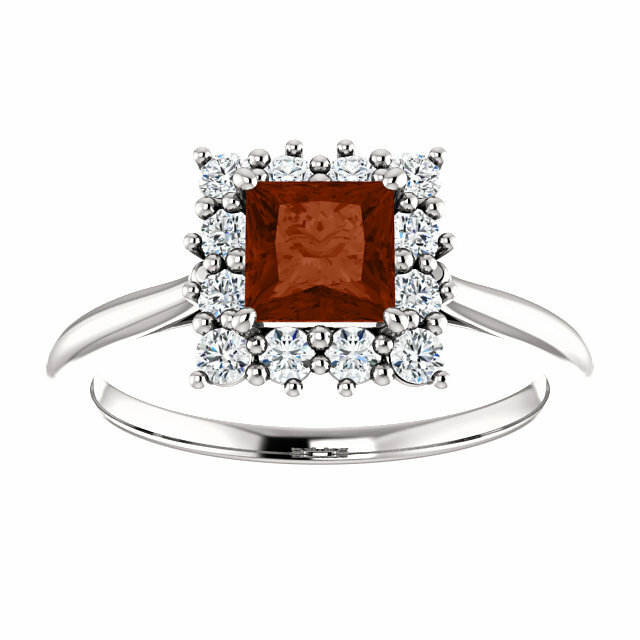 It's like this princess-cut garnet ring was made for a real princess. 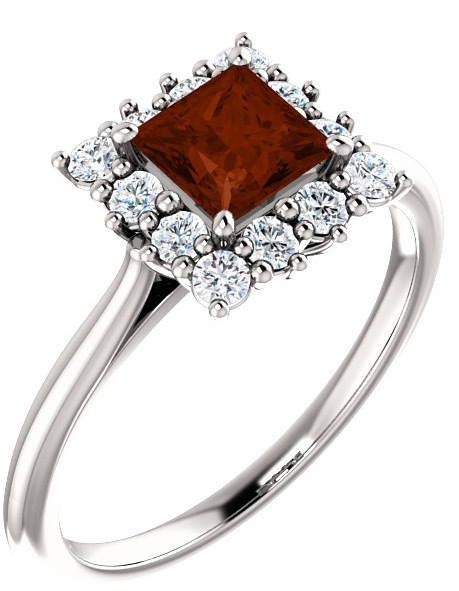 That's how you'll feel wearing this princess-cut garnet halo ring crafted from .925 sterling silver. 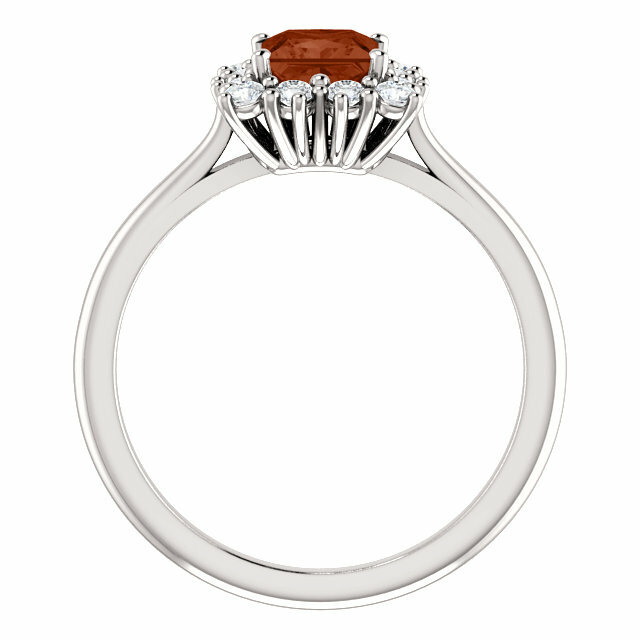 All real precious materials are used, including an AA rated 5mm x 5mm center garnet stone and 12 round white topaz surrounding halo stones. The ring is available in women's sizes 4.5 - 9. Also available in 14k white gold (shown below) and with a matching .925 sterling silver wedding band. We guarantee our Princess-Cut Garnet Halo Ring in Sterling Silver to be high quality, authentic jewelry, as described above.